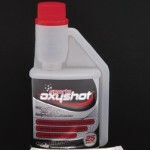 Another interesting product which can be used to boost the body on a distance run is OxyShot. 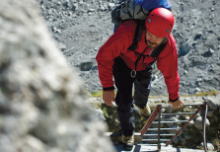 As we know, under stress and physical exertion, the body’s requirement for oxygen increases substantially. Until recently it wasn’t possible to supplement oxygen levels naturally or without the use of compressed gas cylinders. OxyShot can give a boost of oxygen to help the body sustain exertion and / or to speed up recovery after exertion. The secret of OxyShot lies in CSO2 – Charged Stabilised Oxygen, a literally space-age technology pioneered by NASA. Presented in the form of a pH-balanced electrolyte solution, produced exclusively from natural ingredients, OxyShot can be taken orally to increase oxygen levels in the body, and as an added bonus contains absolutely zero calories. Available in handy liquid 10ml sachets or in 250ml bottles for ease of use.